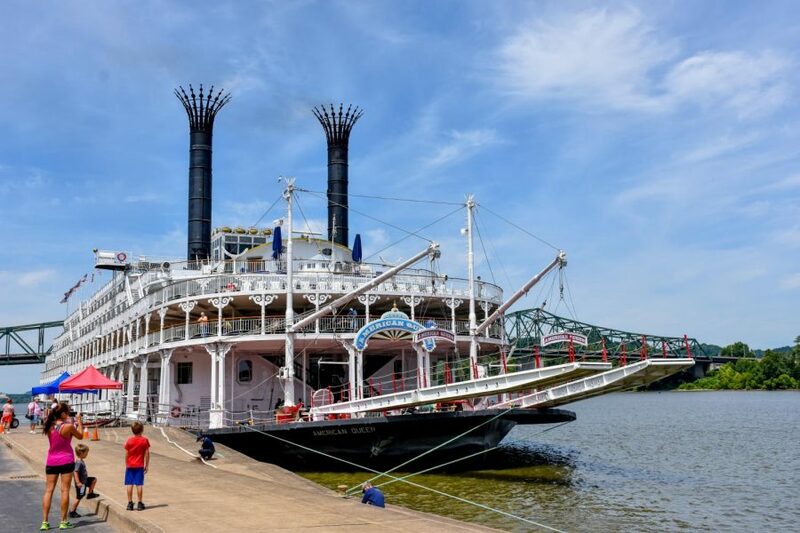 The American Queen, the largest steamboat ever built, docked at Harris Riverfront Park Thursday, July 19, allowing guests to explore Huntington. Visitors took a bus tour of Huntington highlighting Pullman Square and the Touma Medical Center. Visitors were also greeted with the Best Virginia artisan market in Pullman Square.